Several media outlets are suggesting that President Donald Trump’s August 30 speech calling for tax reform was a “populist pitch,” and dozens of media figures and outlets have been calling the president a “populist” since his inauguration. A closer examination of Trump’s policies, however, show a pattern of decisions that will create devastating impacts on Americans, particularly low-income residents, while providing handouts to corporations and the wealthiest citizens. GREG GUTFELD (CO-HOST): He’s a centrist, basically. Donald J. Trump is a populist in the same sense that the Democratic People’s Republic of [North] Korea is democratic. He is a demagogue who, under the cover of a contrived populism that traffics in resentment of “the other,” pursues a plutocratic course that betrays the very people he tricked into voting against themselves. After an election in which he played on their economic insecurities, he now proposes to cut taxes mostly for corporations and the top 1 percent, not for them; to strip away their health coverage; to dismember protections for workers on the job; to let the highest bidders poison our water and pollute our air. The list goes on and on—from opposing an increase in the minimum wage to calling for draconian cutbacks in college loan programs for hard-pressed middle and working-class students. 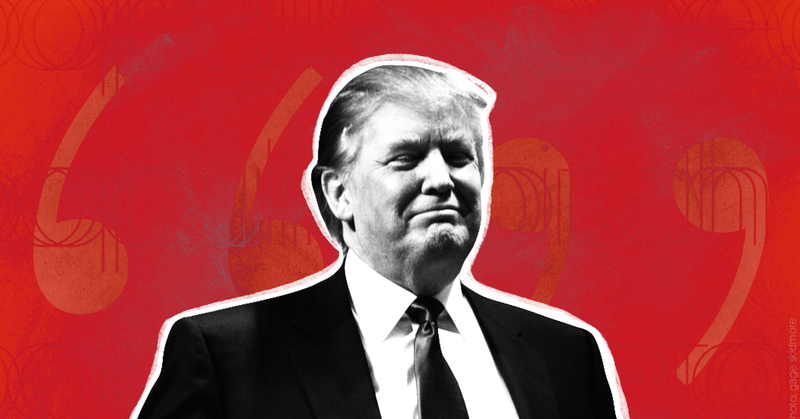 Donald Trump has unleashed a fierce war against organized labor. Anyone who bought into his populist rhetoric on the campaign trail may be questioning this fallacy now. After appointing the vulture investor Wilbur Ross to be Secretary of Commerce and Goldman Sachs executive Steve Mnuchin -- who made profits on foreclosures during the 2008 housing crisis -- to be Secretary of Treasury, he unloaded a Twitter storm against union leader Chuck Jones for criticizing claims he made about the number of jobs he has saved. Trump went so far as to blame workers for the loss of jobs. They now seem to be part of the global economic elite he liked to talk about on the campaign trail. Most dramatic of all, he is appointing Andrew Puzder, a fast-food executive who has spent much of his life railing against labor and the policies that benefit workers, to be Secretary of Labor. This is shaping up to be an administration that is as hostile to organized labor as any we have seen in recent history. While Wall Street seems to be in a euphoria about the new administration, conjuring up images from "The Wolf of Wall Street," America's labor force might be feeling serious trepidation about what they are seeing. Make no mistake: The President-elect is going to govern like a conservative Republican, and the House GOP -- which has been ramping up for eight years -- is ready to stand by his side.